Welcome to Escuela Internacional La Lima (EILL), located in La Lima, Honduras, a campus of Escuela Internacional Sampedrana (EIS). 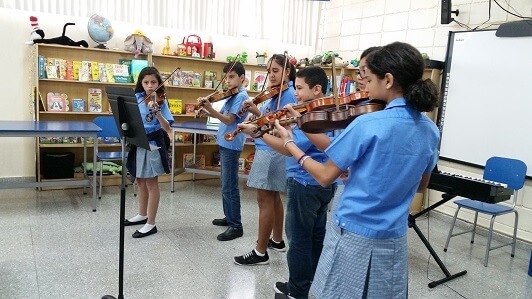 At our school you will find the best of both large and small schools: we maintain the family-like atmosphere and close community of a small school while sharing resources and programs with the larger San Pedro Sula campus. 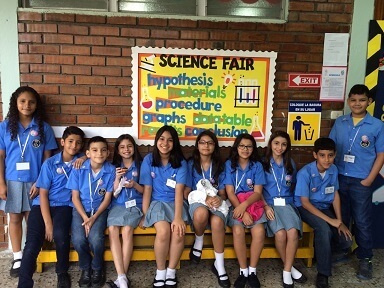 Our school community is composed of students, parents and teachers from three different urban communities: La Lima, El Progreso and San Pedro Sula. With one section per grade level, EILL serves approximately 180 students from toddlers (daycare) through 8th grade. Upon completion of 8th grade at EILL, the vast majority of students transfer to EIS where they finish their high school studies. We at EILL pride ourselves on our rigorous academic program, a supportive environment, and a focus on the whole child. We believe that teachers, parents, and students form a strong community where they learn and grow together. Each child is known and cared for, and the staff works ceaselessly to make sure that each child’s needs are met in the best way for him or her. Classes are conducted entirely in English except for the daily Spanish language classes, PE, and Honduran social studies. The dedicated and highly committed teaching staff is a blend of local and foreign (USA and Canada) teachers. As a staff, we collaborate during weekly team meetings and Professional Learning Communities, as well as Professional Development time to improve our instructional practice. Our school has a long, proud history. 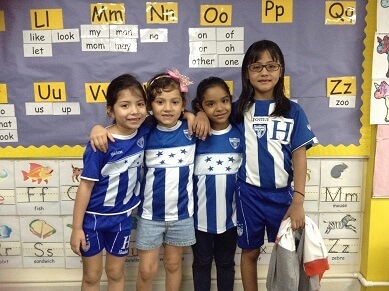 We are one of the oldest bilingual schools in Honduras, founded by a subdivision of Chiquita Brand more than 80 years ago, but we keep striving to grow better and stronger. We are accredited by both the Southern Association of Colleges and Schools (SACS) and the Ministry of Education of Honduras. Contact us if you’re interested in becoming part of our story! Escuela Internacional La Lima is a bilingual school which educates and nurtures children by inspiring academic excellence, democratic participation, morals and social values in a structured, challenging environment, developing their potential as positive, successful, and responsible participants in a global community. All learners are educated and nurtured to inspire academic excellence. In a structured, challenging environment, all learners develop their potential to be bilingual, positive, successful, and responsible participants in a global community. As evolving responsible participants in a global community, all learners will have multiple opportunities to succeed in developing morals, social values and a spirit of democratic participation. 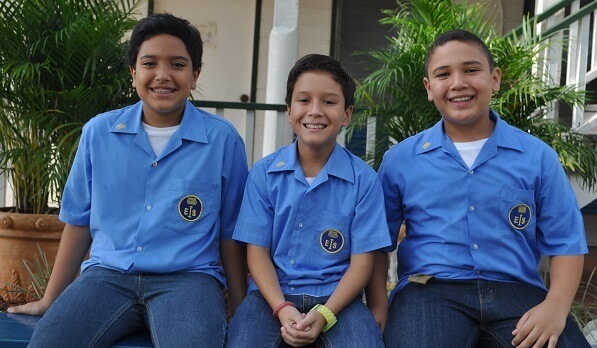 Our academic program is designed so that students receive both a U.S. and Honduran diploma. Standards used are a combination of U.S. standards such as Common Core standards for language arts and math, NGSS Science Standards, (C3) Framework for Social Studies, ISTE technology standards, and Honduran national standards for subjects such as Spanish and Honduran social studies. We strive to develop student-centered classrooms that encourage critical thinking and help students see the relevance of what theyâ€™re learning.Â Class sizes are small to allow for individual and differentiated instruction. Developing a love of and stamina for reading is one of our central goals.Â Teachers in all grades have an extended language arts block where they implement the components of balanced literacy.Â We use the Writers Workshop philosophy to teach writing in grades 1-8 and the History Alive Social Studies curriculum in grades 5-8.Â The elementary has an extended math block, and all teachers use Study Island and Math Workshop in their math classes.Â The ECC uses the GOLD assessment system to guide their instruction and offer feedback to parents. We use a variety of assessments to measure student growth, monitor school effectiveness, and guide our school improvement efforts. Students in grades 1-8 take the MAP test for mathematics 3 times a year. Grade 3-8 students are evaluated with the MAP test in reading and language three times a year. The Fountas and Pinnell reading assessment is used for students in Kindergarten through fourth grade three times a year. The Early Childhood Center uses the Briganze test to measure student growth. The Aprenda Spanish test is used to measure school growth in Spanish. We administer yearly assessments in math and Spanish designed by the Honduran Ministry of Education. Teachers use the Understanding by Design (UbD) framework to write their unit plans in Atlas Rubicon, and the school has on ongoing process to revise the school’s curriculum using the UbD framework. All curricula are written on site and adjusted and revised based on current student needs. Our Learning Center has two full-time staff who assist students with reinforcement both in and out of the classroom. The Lindamood Bell program is used in language arts classrooms with additional reinforcement in the learning center. Math and writing intervention are offered to the students who need it most.Â We also have a full-time counselor who works with students, teachers and parents to meet the social and emotional needs or our students. 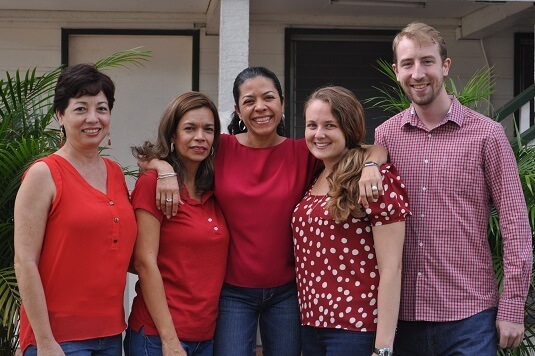 Professional development opportunities are ongoing and directly related to our academic program.Â Teachers engage in book studies and Professional Learning Communities to study areas where they want to grow as teachers, practice new strategies learned, and meet with colleagues to discuss results.Â Teachers also attend and present at a national teachers conference in Honduras each year. Ongoing support is provided in writing curriculum using Understanding by Design.Â Resources are available for teachers as they work to improve professionally and increase learning in their classrooms. 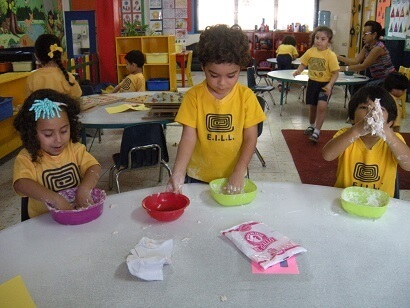 At EILL, we truly believe in educating the whole child, and we have many activities to help support us in that goal. Every Thursday afternoon during the last period, students in grades 4-8 have clubs. Students sign up for the clubs of their choice and for 9 weeks they work with other students across grade levels in specialized activities. Some of the most popular clubs are soccer, Fun Science, Knowledge Bowl, Healthy Cooking, and Make to Wear art among many others. 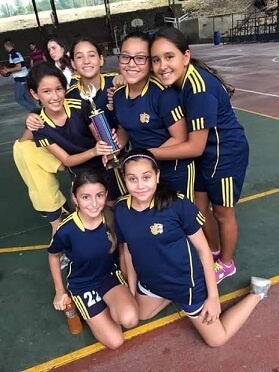 Afterschool sports are available for students in grades 1-8, and 7th and 8th graders travel to National Tournaments for basketball, volleyball, and soccer. The Athletic Director arranges games and tournaments for all the sports teams throughout the year. Students also participate nationally in the Music Festival, Spelling Bee, Knowledge Bowl, Model United Nations and Science Fair. The 7th and 8th grade classes have a special activity together each spring. 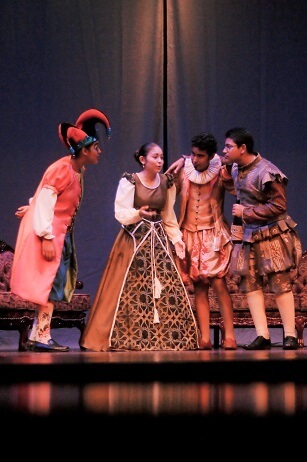 In one year, they spend the spring studying and learning a Shakespeare play to perform in the local theater. 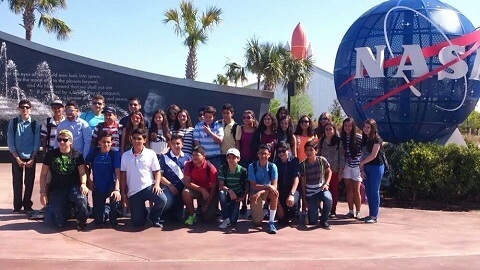 In the alternate year, they take a science-themed trip to Orlando, Florida. With these activities, all students are able to build community and apply their school experience to the real world. The school organizes activities so that students learn the value of service to others. Our Green Squad plans ongoing activities to teach students the importance of taking care of the Earth and organizing our schoolâ€™s recycling initiatives. The 7th and 8th graders plan activities in support of local community organizations such as a nearby public daycare for working parents and a home for the elderly. Throughout the year, several special activities help to celebrate our students and provide opportunities for us to connect as a school community. Dia Civico, an all-school Thanksgiving Brunch, Christmas Talent Show, Soccer Festival, Family/Leadership Day, the Jaguar Award Banquet, and School for Parents are all important parts of our school tradition. If you choose to join us, you will become a part of a community that values its staff members and its students. With your help, we will continue to uphold our values while we embrace the future.